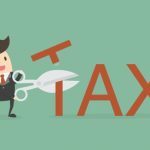 Common tactics are broken down by the founder of the prominent law firm in Dallas, and Nick Nemeth explains what taxpayers can do if an IRS tax dispute occurs. Dallas, TX –July 14, 2014– Taxpayer advocate Nick Nemeth is well known in Dallas, Texas, where he is the founding partner at The Law Offices of Nick Nemeth. As the author of yet another article for taxpayers Nick Nemeth has published a new piece on his website online. 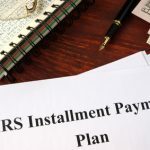 “Don’t Let the IRS Pull a Fast One: Five Ways the IRS Takes Advantage of Taxpayers” is the title of the article, and Nick Nemeth explains the various ways in which the IRS may try to take advantage of a taxpayer. The latest article published on the website covers several ways that taxpayers may be taken advantage of by the IRS. 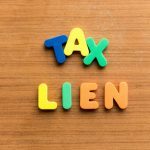 When you have a qualified tax attorney who is experienced on your side these tactics and methods are not effective. 1) The Internal Revenue Service knows that few taxpayers have any specialized knowledge at all when it comes to the tax code. This code is extremely complex and so complicated that it runs thousands of pages, and very few taxpayers have time to keep up with the constant changes made every year either. The IRS is aware of this, and they may try to use your ignorance against you to get you to pay more than you may have to. This is one reason why you should never deal with the IRS until you have an experienced tax attorney representing you. 2) All taxpayers have certain rights if there is a tax dispute with the IRS, but few taxpayers understand what these rights are. Don’t expect the IRS to make sure you understand your rights as a taxpayer, instead the agency will try to take advantage of the fact that you are not sure what rights you have. When you are unaware of your rights this gives the IRS an advantage over you, but this advantage can be eliminated if you have a qualified tax lawyer to represent you! 3) Intimidation through fear is something that the IRS uses to make taxpayers comply with any agency demands without question or hesitation. Most taxpayers know that the IRS is extremely powerful, and agents can garnish wages and bank accounts, seize and sell your own property, and even have criminal charges brought against a taxpayer. 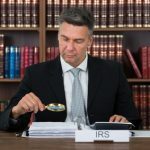 These actions may be threatened by IRS agents in order to get you to comply with their demands, but an experienced tax lawyer will keep the IRS honest and hold them accountable if they step over the line in even the smallest way. Nick Nementh has always fought for the rights of taxpayers, putting the IRS in their place and protecting people and businesses against this agency. Nick is also a well respected author with a large following. Nick works hard to help resolve disagreements between the IRS and taxpayers, and he has the experience and tax code knowledge needed to get the best possible outcome in tax cases.